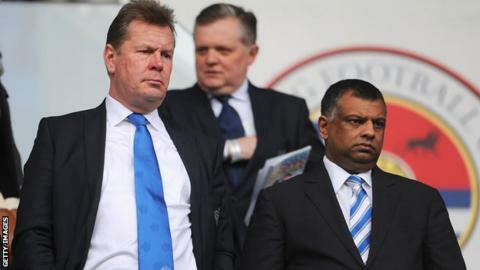 Queens Park Rangers have accepted the resignation of chief executive Philip Beard. Beard will leave the club on 15 March, having spent three-and-a-half years at Loftus Road. "The role of the CEO has changed in the wake of the recent senior management changes, especially on the football side," Beard told the club's website. "Whilst the changes have been positive, I felt now was a sensible time to move on to other opportunities." Beard added: "QPR is a wonderful club and I have thoroughly enjoyed working with the directors and incredible management team and staff." Chairman Tony Fernandes, whose side sit 17th in the Premier League, said: "In the short term we will continue to liaise with Phil regarding our long-term projects, ensuring a smooth transitional period prior to making a new appointment." Prior to joining the club, Beard served as a senior member of London's successful Olympic and Paralympics bid team.